I’ve been blogging in the Asian American blogosphere for over a decade, and in that time, I’ve fundamentally believed that our Asian American blogging collective is heavily dominated by male voices. As a feminist blogger, I’ve found the underrepresentation of women writers discouraging. 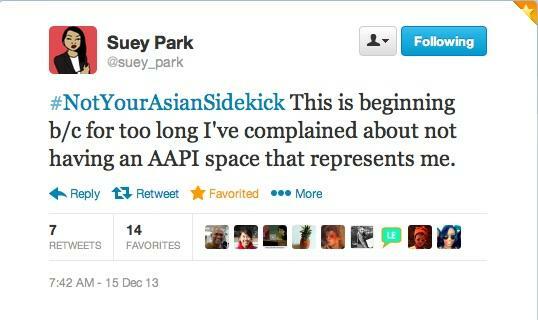 Indeed, the #NotYourAsianSidekick Twitter hashtag conversation that blew up the Internet last month was explicitly started by founder Suey Park to address this same problem. Yet, as I wrote about #NotYourAsianSidekick last month, it occurred to me that I had no actual evidence on the gender break-down of writers in the APIA blogosphere. Despite abundant assertions that the blogosphere — Asian American or otherwise — is male-dominated, there seemed to be a dearth of hard data on the subject. Further, I wasn’t sure that anyone had ever actually studied our blogosphere’s demographics at all. So, being the nerdy scientist that I am, I decided to do it myself. From a list of 89 blogs and websites that I identified as intersecting (even tangentially) with the Asian American identity, I generated a list of 177 bloggers most of whom wrote for 76 self-contained blogs that focused heavily or exclusively on shaping the contemporary online Asian American community; I felt reasonably confident that this list was representative of the APIA blogsophere and ran subsequent analyses on this group. Perhaps not surprisingly, 3/4ths of APIA blogs are solo blogs written by a single individual. 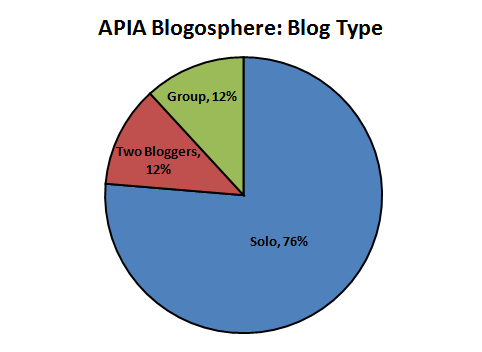 ~76% of blogs in the APIA blogosphere are written by a single author. More significantly, when I compared the author ratio of male and female bloggers writing within the APIA blogosphere, I found a noticeable and disproportionate underrepresentation of female voices contributing to APIA-centric blogs (check methodology for details). This occurs despite the fact that Asian American women are 51.9% of the Asian American community, and that the gender gap between male and female users of the Internet in the developed world is only about 5%. Excluding authors where gender could not be determined, ~55% of writers in the APIA blogosphere are men. This gender gap, alone, is striking. 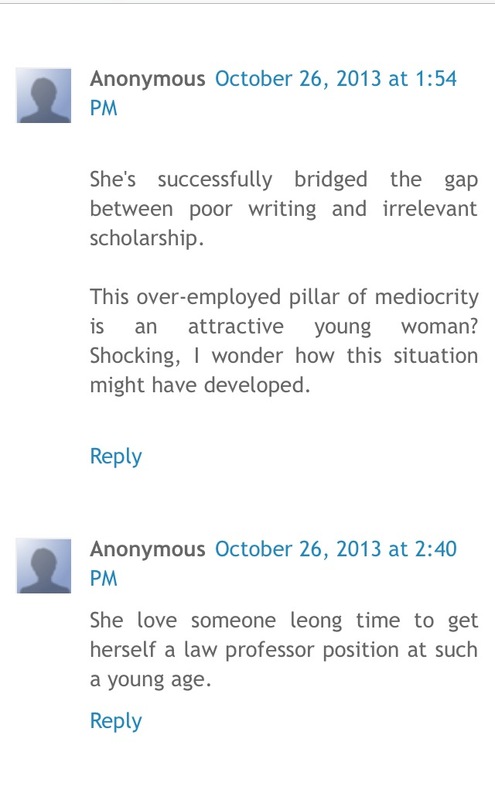 But I wondered if this truly reflected the relative influence of voices of either gender on APIA blog discussion. To address this question, I generated a subset of 12 “core” APIA blogs (see methodology for more discussion). These blogs are arguably among the most influential within the APIA blogosphere, and are among those typically rattled off when one brainstorms a list of Asian American blogs. Not surprisingly, many of these blogs have been highly visible and central in the most recent discussions that have captured the attention of Asian American bloggers, including the Katy Perry fiasco. The Core 12 APIA blogs as included in this study are: Angry Asian Man, Reappropriate, The Aerogram, Nikkei View, 8Asians, Hyphen Magazine, 18MillionRising, Disgrasian, ChannelAPA, Schema Magazine, You Offend Me You Offend My Family, and Tao Jones (here defined as a stand-alone blog despite being affiliated with the Wall Street Journal). I found that when I analysed the subset of “Core 12” APIA Blogs — i.e. a subset of high-profile blogs that are influential in shaping the landscape of the APIA blogosphere — the gender gap between male and female contributors was even wider. 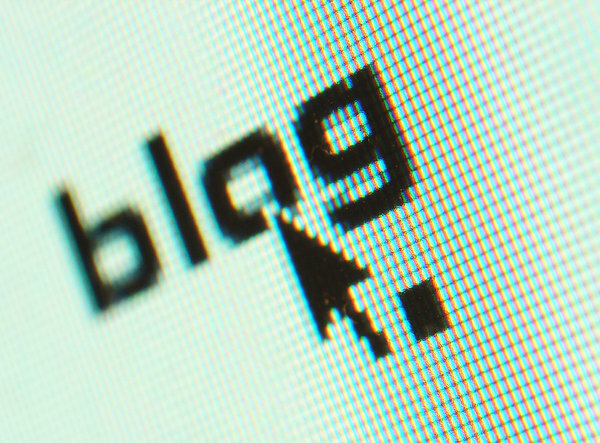 In the core 12 APIA blogs, male bloggers are 20% more prevalent than female bloggers. And what was most interesting to me was that of the 177 Asian American bloggers I included in this analysis, female bloggers were far more likely to contribute in a group blog format where their writing must stand alongside a number of (male or female) contributors, whereas male bloggers were far more likely to manage and exert sole control of solo blogging projects, where their individual voice can easily gain prominence. Slightly more than half of APIA female bloggers blog from a group blog platform rather than at a solo blog. The opposite is true for APIA male bloggers. And, as might be predicted by this gender gap, only a quarter of APIA blogs explicitly grapple with or focus on issues of Asian American feminism or Asian American women’s issues as a significant fraction of its writing. Only about 1/4 of APIA blogs either self-identify as Asian American feminist and/or explicitly tackle APIA feminist or womens’ issues as a primary mission. Taken together, these data don’t suggest malicious intent on the part of Asian American bloggers — male or female — to specifically exclude women from participating in the global Asian American blogosphere conversation. It does however suggest that the cohesive APIA blogosphere zeitgeist may be far more informed by the Asian American male experience than it is by the Asian American female experience. It further supports Suey Park’s assertion that there is room for improvement in developing a feminist space within the APIA blogosphere. Friedersdorf notes that it’s not the vitriol of individual commentors that exhausts women. It is the effect of these comments en masse that is unshakable. It is the unending onslaught of hatred from a legion of nameless, faceless trolls that proves most damaging. Instead of a lone jerk heckling you as you walk down a major street, imagine dozens of different people channeling the same hyper-aggressive hatefulness, popping up repeatedly on random blocks for hours on end. That’s what some bloggers had to endure over the course of years to make it. Around this time, I began to ask female friends if they experienced this same phenomenon. And not only were they close to unanimous in avowing that they did—many also cited a weariness at gendered online abuse to explain why they either shuttered their personal blogs and stopped writing for the public, or shifted their journalistic efforts to a traditional format rather than the more personalized blog format. This is the very time that people like Matt Yglesias and Ezra Klein were building the personal blogs from which they would become successful national pundits. One wonders how many equally talented women we missed out on reading due to misogynists hurling vile invective at rising female journalists. In Friedersdorf’s column, he notes that gay writer Andrew Sullivan has also been the target of vitriolic hatespeech that focuses on his identity rather than his ideas. One imagines than that men and women — such as women of colour — who stand at the intersection of multiple minority identities find themselves twice as likely to wander into the cross-hairs of crass and intolerant invective. The examples reveal an important phenomenon. Many posters (mostly self-identified men) use identity as a basis for disparaging women and people of color rather than engaging substantively with their arguments. This practice is a thinly-veiled attempt to “put women in their place” or to “put those minorities in their place” by focusing on identity rather than ideas. Women bloggers (particularly those of us who self-identify as feminist) are constantly judged — by our appearance (as either “too ugly” or “too beautiful”), by our racial identities, and even by the race of our partners. In all cases the common thread is the same phenomenon pointed out by Leong in her series of posts above: the use of a woman’s identity to disparage her for speaking out. It’s tempting to conclude from the numbers I’ve presented above that the reason Asian American women are less prevalent in the APIA blogosphere is that online invective is a powerful disincentive for a solo female Asian American blogger. It’s a compelling theory to postulate that Asian American female bloggers gravitate towards group blogging platforms as a mechanism for building solidarity and a safe space in the face of that kind of negative reinforcement. But, in truth, the numbers I present above offer evidence that women are underrepresented in the APIA blogosphere, but no real thoughts on why. 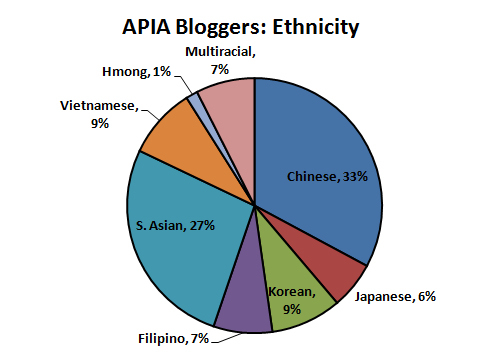 What is clear from the data I’ve presented above is that the APIA blogosphere offers the potential for presenting a multi-facted Asian American voice on a given topic, but that work remains to be done to vary the kinds of voices that we feature most prominently in our blogging collective. Work remains to be done to examine what stumbling blocks, if any, are dissuading women bloggers from writing at the top-tier of the Asian American blogosphere. We need to spend more time thinnking about what, if anything, we can do to promote and retain Asian American female bloggers. Only when the Asian American blogosphere is a true cross-section of the Asian American experience can we expect to represent and advocate for it. This is mostly for curiousity’s sake but I don’t put a ton of stock in this graph. For the science and methods junkies out there. If you don’t care how I did the survey, you can skip this part. To create a comprehensive sampling of the Asian American blogosphere, I started with a brain-stormed list of prominent Asian American blogs and bloggers generated from my Facebook and Twitter friends list (which is, surprisingly, a pretty comprehensive list itself). Then, I added relevant blogs and related author information retrieved using the keywords “Asian American” from the Networked Blogs bot-generated blog directory. I excluded all blogs that were associated with Asian American non-profits and that existed primarily to publicize news of those organizations, instead focusing on blogs invested in generating original op-ed content. I then categorized all list entries based on whether or not they were solo or group blogs, whether or not they focused significantly on Asian American topics, and whether or not either the blog focused significantly on feminist issues. I also gathered public domain gender and ethnic data for as many bloggers as possible, making some assumptions where reasonable. From this, I was able to generate a list of 177 self-identified Asian American bloggers, a majority of whom wrote for 76 Asian American-centric blogs; this filtered collection of Asian American-centric blogs are arguably representative of the “AAPI blogosphere”, but is not likely to be an exhaustive list of every APIA blog on the Internet. The “Core 12” list of Asian American blogs was generated by assuming that the number of blog Twitter followers would be directly related to the traffic — and therefore the reach — of the site. Based on this assumption and with consideration for whether or not new content was being added to the blog and whether or not sites were retrieved when one Googled “Asian American blog”, I edited down my list to 12 sites. This list is meant to represent the 12 largest sites a reader might visit to get a comprehensive snapshot of ongoing discussion in the APIA blogosphere. Percent gender was calculated as the average of the gender distributions across each individual blog. For example, a blog written by 2 men and 1 women was represented as 66% male and 33% female; a blog written by a woman is represented as 100% female. All male and female percentages were then averaged across all blogs. I refer to this study as semi-scientific because while I approached this survey as I scientist, there are several caveats that would prevent this from being of peer-review quality: 1) my data collection was quick and dirty, and my dataset took about two days to generate, whereas it probably could take a dedicated person a lot longer to produce a dataset with better detail. I had neither the time nor interest to dig deep enough to fill the holes in my dataset. 2) while I did my best to follow a standard data collection protocol, this was not a fully formalized procedure. I did not have the time, interest, or manpower to completely eliminate investigator bias, although I maintained as much objectivity as possible. 3) I am not a social scientist, and basically applied my own ideas of data analysis onto my dataset. My approaches may not reflect what would be considered acceptable to academics who spend months or years on similar sorts of analyses. Consequently, I would approach my conclusions with all this in mind. A final note: this study relies strongly on a binary model of gender, which was far simpler to model and analyse in this context. I apologize for this generalization.